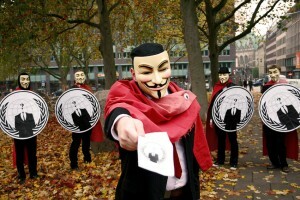 FBI Chases Pro-Wikileaks Hackers ! U.S. intelligence agencies, the FBI, has asked all countries work together to jointly support track hackers who managed to paralyze the site Wikileaks ‘enemy’ Wikileaks. Reported by Yahoo News from the Smoking Gun website on Saturday (01.01.2011), FBI showed detailed written statement about the operation pro-Wikileaks tracking hackers. This operation will involve U.S. federal investigators in Europe, Canada and the U.S. alone. Along with the discovery of the evidence, the pro-Wikileaks hackers launched its action through the servers in those countries. Cyber attacks were launched from this month, along with the start of the launch of the CableGate documents on the site Wikileaks. This attack is only targeting sites that break with Wikileaks like PayPal, Visa and Mastercard. Mid-December, the FBI track the IP address of the hacker who is in Canada, and later the FBI also found a virtual server in Callifornia. At the same time, a separate investigation by German police show if attacks Denial of Service (DoS) to the PayPal site come from the existing server IP address in Texas. The company partners decided Wikileaks working relationship after the site spread information considered state secrets. Starting from Amazon, PayPal, Visa to MasterCard to break and eventually became the moon-monthly hackers Wikileaks supporters.